Obama is using a technique I grew up with called “slow walkin’ a motha.” He will get his opportunity later, but he didn’t want to put his best energy into Romney when he was really focusing on his First Lady, Michelle. But as Romney backtracked and denounced all his 47 percent rhetoric to show support for the very same folks! 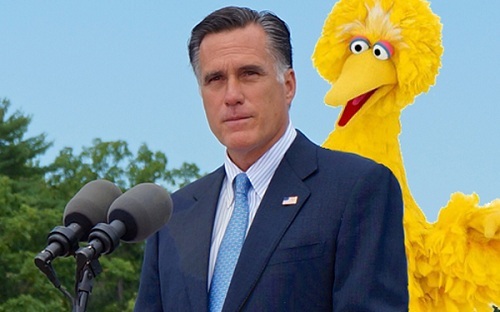 Then he made one big mistake…he threatened to cut government funding for PBS. He clearly does not realize how many people adore PBS’s children’s programming.